In a smart move, Facebook began to allow the editing of posts last September in the web browser and in the Android version of the social network’s application. This was followed by a similar feature in the iOS application in October. It’s surprising how long it took Facebook to allow users to edit their posts, considering what a hassle it once was to correct a typo or edit a post for whatever other reason you might need to edit it for. Though Facebook allowed users to edit comments on posts for over a year before implementing this feature, it was a breath of fresh air to finally be able to correct typos in the text of a Facebook post itself. Previously, a user would have to delete the post, lose all the Likes and comments, and repost the status entirely in order to fix a typo. The reason that it took so long for Facebook to allow for users to edit their posts was because they wanted to prevent Facebook users from abusing this feature. For instance, they didn’t want someone to post something, wait until it got plenty of Likes, and then edit the post so that it looked like their Facebook friends had Liked something else entirely. The way that Facebook is getting around this is by offering an ‘Edit history’ to any post that is edited, so that users can see how the post has been changed. Facebook is not the only social network that has allowed for recent editing functions. Vine also released an editing function in October, albeit one that operates a bit differently than the edit function on Facebook. Editing videos on Vine is referred to as ‘Time Travel’ and it allows users to reorganize different shots before posting videos on their Vine account, which will allow for many more interesting applications for the Vine social network. I’ve mentioned in previous blog posts that Facebook’s popularity amongst kids and teens has been on a decline. Founder and CEO Mark Zuckerberg has even noted that this is the first time that there has been a decrease in daily teenage users since the social network was launched a decade ago. 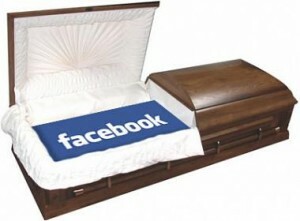 Even though Facebook has over a billion active users, this recent decline has made some people believe that the death of Facebook, at least as the supreme reigning social network, might not be too far away. A recent study done by researchers at Princeton University compared the growth and potential decline of Facebook to that of an epidemic disease. When comparing the spread of the social network’s popularity to the way diseases like the bubonic plague were once spread, the researchers were able to predict that the site’s user count will drop by 80 percent before the year 2017. The reason behind the study was that ideas have often been shown to spread infectiously before dying out, not unlike diseases. Losing interest in an idea can be compared to developing an immunity to a disease. The researchers viewed the number of Google searches for Facebook and noticed that there had been a peak in December 2012. They were able to compare this to a similar peak in searches for MySpace in 2008, right before it began to head towards its eventual decline. Though the researchers did not insinuate what the successor to Facebook might be, it’s not impossible that their findings could be accurate, considering how MySpace was once at the height of popularity and now is not even close in popularity to many of its competitors. One interesting report has stated that even President Obama is aware that Facebook is losing its ‘cool factor.’ Obama was quoted as saying, during a meeting regarding the 18-34 year old demographic, that “It seems like they don’t use Facebook anymore,” which shows that Facebook’s decline is something quite noticeable. With many teenagers and twenty-somethings turning to Instagram and Snapchat, it’s entirely plausible that Facebook’s user base may not be such a powerhouse in a few years. Though most people are using social networks through mobile phone applications these days, there is still room to grow and evolve when it comes to the actual web presence of social networks. This is something that Twitter has recently embraced with its new web design, as well as with the first web profiles for Vine, its popular video-sharing service, which until now has been exclusively available for usage on iOS, Android, and Windows Phone platforms, rather than being accessible via a computer. Twitter’s new web design launched on Tuesday and according to Twitter, the site has been designed to reflect the look and feel of the iOS and Android apps. One of the larger non-aesthetic changes to the website is the built-in ‘compose’ box that is on the left side of the page. The intention of this box is to encourage users to tweet more rather than just browsing the Twitter pages of other people. Though the official launch occurred on Tuesday, the new design has not yet appeared for all users. Additionally, full web profiles were launched on Vine in early January. The Vine website allows for easier browsing of videos posted on Vine and also includes a feature called TV Mode that lets users watch videos in full screen on their computers, which plays through videos one after the other instead of looping the same video over and over. Though the Vine website is still very new, there are plenty of potential ways that the social network’s web presence can be utilized, such as filming Vines through a webcam. 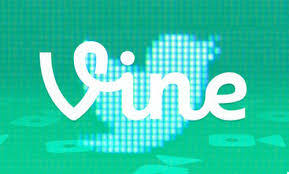 As Vine develops, it is likely to add new features to both the mobile app and the website. The social media world has recently been buzzing about the launch of Jelly, a new social media app that integrates existing social networks to help answer the questions of its users. The app has been launched by Biz Stone, who is best known as the co-founder and co-inventor of Twitter, who also worked on popular websites such as Xanga and Blogger over the course of his career. Stone has been working on Jelly since 2012, where the nature of the application was kept mostly under wraps. Jelly was launched for iOS and Android on Tuesday and aims to compete with existing Q&A services such as ChaCha and Quora. There are a few features that separate Jelly from these other question and answer services. For one, users are able to post images alongside their questions (“What is this?” is frequently mentioned as a way images and questions can be used together). The social media app will allow friends on existing social networks — as well as friends of friends — to help answer questions that are posed on the Jelly platform. Some people are very excited about the potential of Jelly. One blogger referred to the types of questions one would pose for Google compared to the questions that were meant for Jelly — “How much is this new video game?” versus “Is this game appropriate for my ten year old?” The ability to gain this sort of knowledge from someone a Jelly user knows directly or indirectly is exactly the appeal of the social media app. 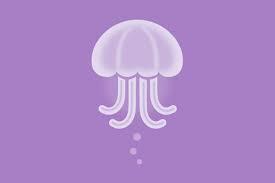 However, while some have embraced Jelly since its recent launch, others are a bit more skeptical. One journalist mentioned a number of problems that Jelly users may run into. He described that many questions posed on Jelly are snarky or obviously ridiculous or pointless (“Should I drink coffee or tea?”) whereas others are clearly stealth marketing questions that may irk new users of the app. Even when genuinely interesting questions are posed, the answers are usually immediately available via existing search engines. Considering the application is merely days old, there is still a lot of room for growth, but the direction that growth ends up taking remains to be seen. 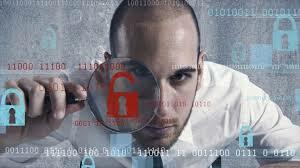 In early December, it was revealed that there had been yet another massive breach in social network security, as 2 million passwords were stolen in a hack that affected accounts for Facebook, Google, Twitter, Yahoo, LinkedIn, and more. The hackers, who are believed to have originated from the Netherlands, were using a virus that allowed them to access information for more than 93,000 websites, including many major social networks. More recently, it appears that the security of Snapchat has also been compromised. A recent hack resulted in information regarding 4.6 million accounts getting posted on a website known as SnapchatDB.info. Though the site has since been suspended, the hackers were able to get information regarding phone numbers and passwords for all of these individual accounts. According to the people behind Snapchat, the hole that allowed for this security breach has been sealed. However, some people believe that Snapchat’s response to the hack is evident of their existence as a very young startup company. One particular issue is that a group of ‘white hat hackers’ – people who find holes in security so that companies can prevent these kinds of breaches – had explicitly told Snapchat that there were holes that could be exploited. Yet Snapchat ignored this and didn’t even admit to their mistake in not listening when they released a brief statement regarding the breach. Though these breaches in security have been unfortunate for a lot of people, one website is trying their hardest to help people find out whether or not their account has been compromised. The website ‘haveibeenpwned‘ allows people to enter their e-mail addresses that are used for these accounts to find out if theirs are among the accounts that have been compromised by any of these recent breaches. The website checks Adobe, Snapchat, Stratfor, Gawker, Yahoo!, Vodafone, Pixel Federation, and Sony accounts.